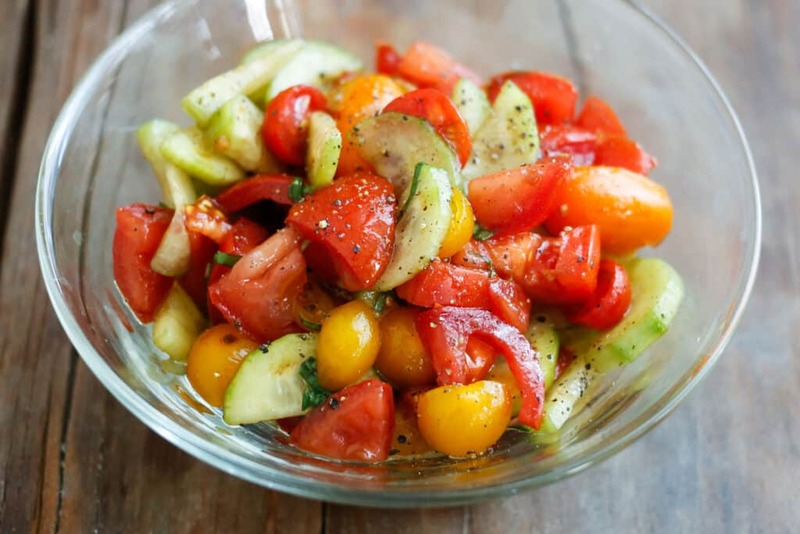 Fresh cucumbers, tomatoes, and basil are drizzled with a simple balsamic and oil dressing to make this simple Cucumber Tomato Salad. Tossed together just before serving, or made a few hours in advance, this refreshing salad is perfect for a casual dinner night or for feeding a crowd at a potluck. Inspired by an abundance of very ripe tomatoes, this salad (like so many of our recipes) was a spur of the moment decision and it was a great one. I like to serve this Cucumber Tomato Salad with crispy chicken, pulled pork sandwiches, or a steak dinner. This salad has become a staple on our menu plan over the past year and it’s also become one of the most popular summer recipes here on the blog. I made a quick little video last week, just for fun, so that I could share it with you today as we go into tomato season! If you’re looking for summer salad inspiration, check out a few of our favorite summer sides: Creamy Summer Pasta Salad, Mango Quinoa Salad, Sweet Kale Vegetable Salad, Southern Coleslaw, and the Pineapple Mojito Fruit Salad. This Israeli Chopped Salad by The View from Great Island is also light and refreshing. My friend Heidi’s Cantaloupe Mozzarella Caprese Salad has been on my radar since last year and I’m looking forward to finally trying it this week. In the midst of a Phoenix summer, I can’t get enough of these light and refreshing salads. 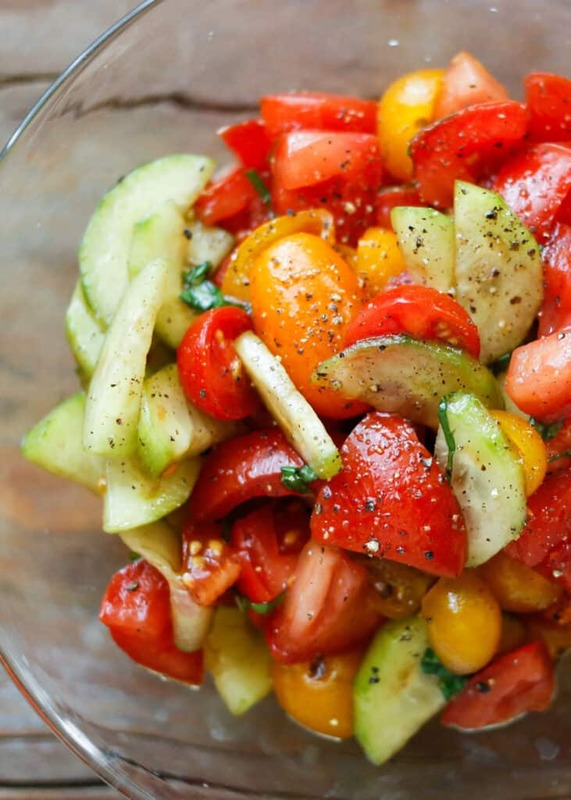 Combine the tomatoes, cucumbers, and basil in a bowl. Sprinkle with sugar, salt, and pepper. 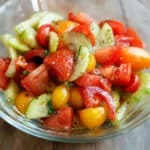 Cucumber Tomato Salad is a light and refreshing side dish for any meal. Combine the tomatoes, cucumbers, and basil in a bowl. Drizzle with olive oil and vinegar. Sprinkle with sugar, salt, and pepper. Stir well to coat. Serve immediately or cover and refrigerate until ready to serve. Enjoy! Feel free to use a mix of whichever tomatoes you like best. I've used just about every kind of tomato and they all work well. This salad will keep nicely in the refrigerator for up to 24 hours. The hubby just planted tomatoes yesterday. I'm pinning this to come back to when the vines are full! I love these type salads!! I bet little pieces of mozzarella would be great in this salad. MMMM I will try this for sure! 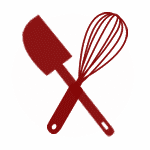 Wish I would have thought of balsamic vinegar but I have used seasoned rice vinegar with cukes and that is delicious too! Made this for a side at dinner... SO GOOD!! I also added some thinly sliced red onion.. I will definitely make this again soon! Looking for a 'quick' salad to take to the LUM homeless shelter for dinner tonight. My co-workers have shared the abundance of their gardens with cucumbers, tomatoes aplenty. This was definitely 'quick'. Thank you! My favorite salad. I usually add some sweet onion. So good! And easy too! The sweetness comes, especially with the garden vegetables! What are the yellow things in the picture? Nothing like that is mentioned in your ingredient list. Those are tomatoes. You can use any blend of tomatoes that you like. Those are sunburst cherry tomatoes.